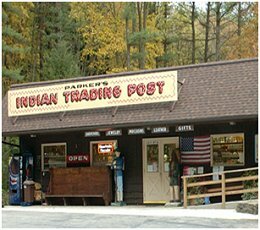 Parker’s Indian Trading Post in Cooksburg, Pennsylvania is located just one mile south of beautiful Cook Forest State Park on Route 36. Here you will find a wide selection of jewelry, clothing, gems and semi-precious stones along with other Native American gifts and collectibles. Pan for gems, fossils, and arrowheads from around the world and keep all that you find. 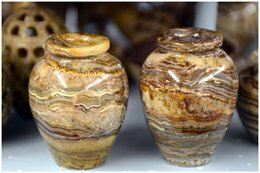 Rock collectors will marvel at the huge selection in the Rock Shop, featuring the Monfort collection. The whole family can explore the covered wagon display. Find Native American collectibles, crafts, and statues; look for American made cedar boxes, moccasins, trolls, clothing, and jewelry like earrings, necklaces, and bracelets made of sterling silver, turquoise, coral, and beads. At Parker’s Indian Trading Post discover gem stones, glassware, Italian link charms, jams and jellies, teas and cakes, infant-youth-adult clothing, and leather wear and leather goods. Other gift ideas include over 175 different styles of knives and a big range of souvenirs.